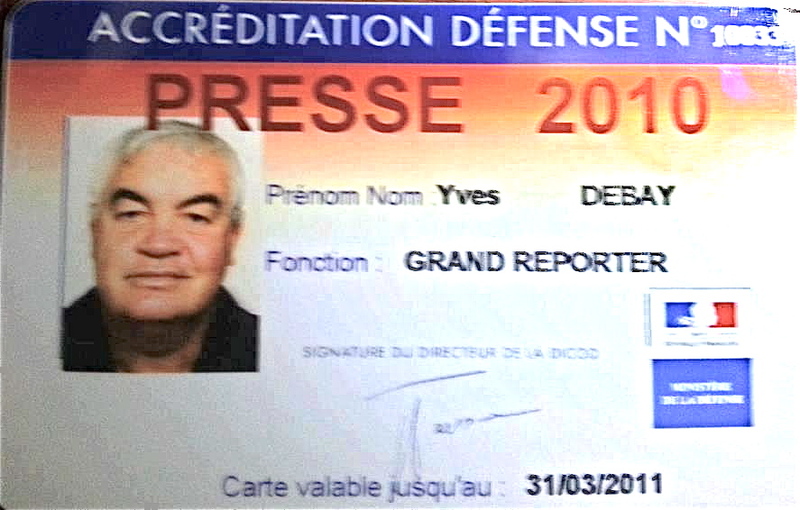 Renowned Belgian war correspondent and published author Yves Debay has been shot dead by a Syrian regime sniper in Aleppo city. He is the first foreign journalist to be killed in the Syria war in 2013. Activists said Debay, 58, was accompanying a Free Syrian Army (FSA) unit to the edges of Aleppo’s Canadian Hospital, which government forces had recaptured from the FSA two months ago. A regime sniper, positioned on the roof of Central Prison near the Hospital, gunned him down late Thursday. The FSA men rushed him back to a makeshift field hospital in the vicinity, where he was pronounced dead overnight. Debay, born on Christmas Eve 1954 in Elizabethville in the Belgian Congo (later Democratic Republic of Congo) enlisted in a reconnaissance unit of the Belgian army in 1975 at age 21, joining the school of NCOs a year later. By 1977 he had been promoted to Leopard 1 main battle tank commander. A year later, he was in a Rhodesian light infantry scouts unit battling guerillas from Mozambique. In 1981, he was with the South African Defense Force’s Pathfinders. Debay switched from weapons to writing in 1985, penning a documentary on the French army the following year. By 1986, he was war correspondent for a new French-language magazine, Raids, covering the civil war in Lebanon, then the two Gulf Wars, the Yugoslav War and the 2001 Afghanistan invasion. 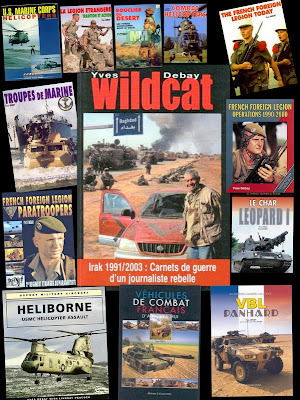 After 20 years with Raids, he started his own French monthly military magazine, Assaut, in France in August 2005. 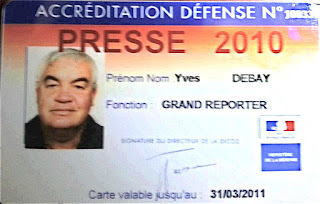 Twenty-eight journalists were killed in Syria in 2012, prompting the Committee to Protect Journalists to name Syria the most dangerous country in the world to work in last year. 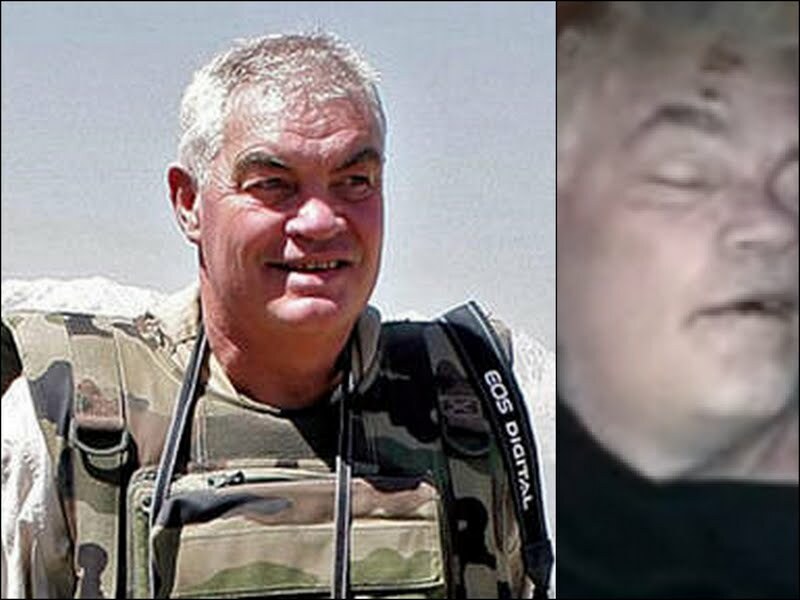 Three of them were foreign and targeted by regime forces -- Gilles Jacquier (French, on 11 January 2012), Mary Colvin (American, on 22 February 2012), and Rémi Ochlik (French, also on 22 February 2012). 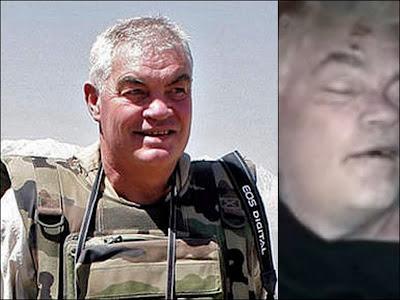 Two American journalists are reported missing or detained, namely freelancer Austin Tice, and James Foley, who contributed video to Agence France-Presse (AFP).